Think songwriting prompts and exercises can’t turn into something good? Zane Williams shows you how he took some fan suggestions as a song prompt and turned it into a challenge for himself as part of his Music Mondays video series. This song was written over eight months before it became a #1 radio hit on the Texas Music Chart. Pretty cool for a simple song prompt and songwriting exercise! Zane Williams’ Social Song Prompt You Can Do With Your Fans! He asked his fans via Facebook and twitter for random words . . .
. . . he selected 10 (not the easiest ones either) and used them in a song. While roller skates didn’t make it into the song, he managed the rest! 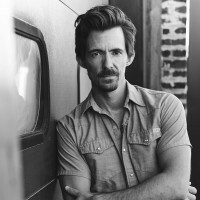 This is the song Zane Williams ended up with: “Jayton And Jill” – plus a free guitar lesson!